Our staple brand in-store CLSC is back with their latest offering - Summer 1 and new lookbook to showcase the collection. It's normal for me to enjoy their lookbook; they use a good friend Pony Tony (Rick Owens employee) as the model and they scout awesome places. But this lookbook tops the rest - there is so much movement in each shot. Peep the visuals below and what CLSC has to say about their new line dropping online today and in-store here at Club907 on Monday. 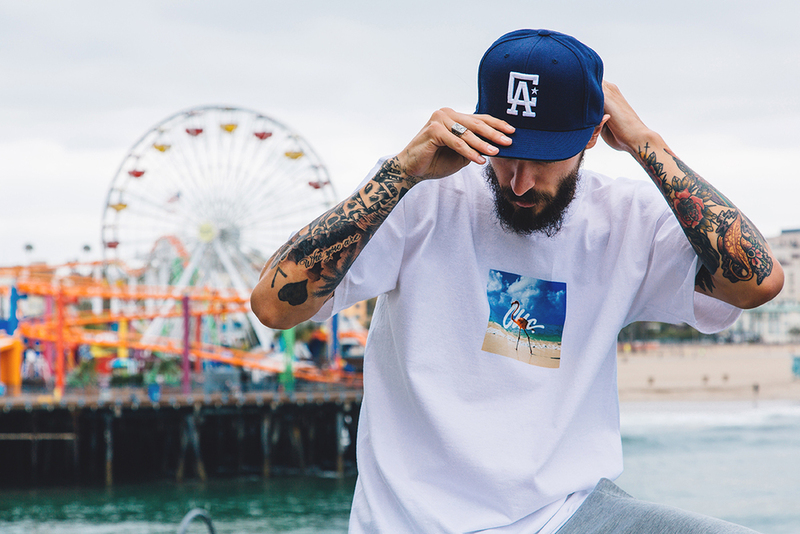 Los Angeles based label CLSC offers their 2015 Summer lookbook . Enlisting photographer Evy Optics , the brand highlights the latest collection against scenic locations throughout Los Angeles city. Melding Athletic inspirations with a street-ready approach to design , the brand continues to deliver season after season. CLSC executes updated graphics and bold sayings on a new range of long and short sleeve tees, bold headwear , coaches jackets , fleece , and an assortment of bottoms. The CLSC Summer 15 collection will be available in their online shop and at select stockist worldwide .